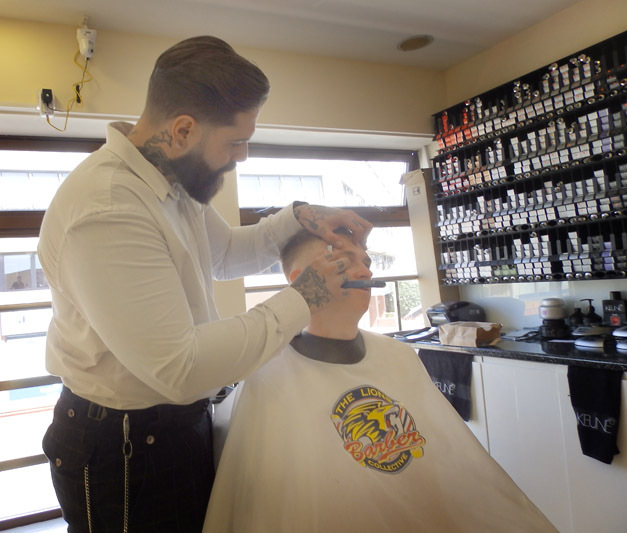 Tom Chapman is a bit of a legend when it comes to barbering. Stylists who know what’s happening in the world of men’s hair and grooming consider Tom to be in a league of his own. Some of our stylists speak his name in hushed tones. Or at least they did, until he agreed to come to The Cutting Garden and run one of his highly sought-after classes. Now they call him by his first name, sometimes quite loudly! The salon was packed that day when Tom Chapman came to The Cutting Garden. 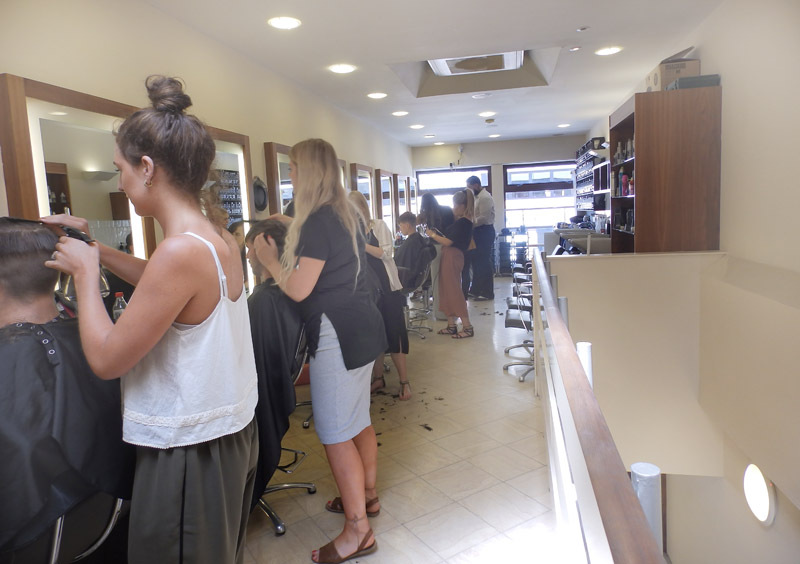 But there weren’t any clients, just our eager stylists and some carefully-chosen models. 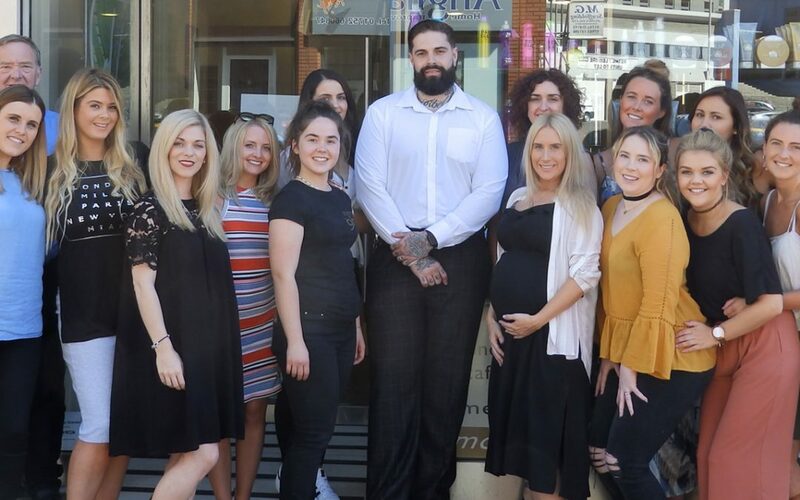 After a fascinating session where Tom demonstrated some of his top techniques, our stylists sat the models down and practised his techniques until they were perfect. 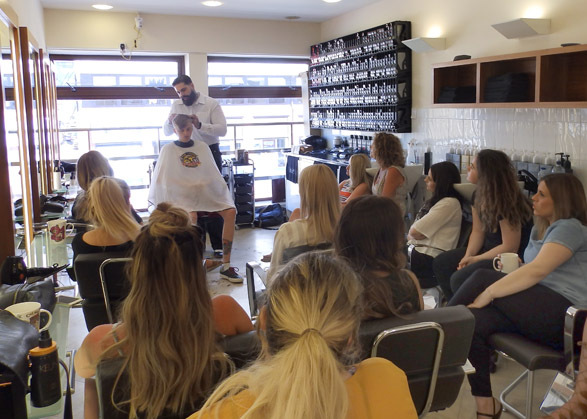 We have always believed in the value of training for our stylists and the sessions are very popular, but this Tom Chapman masterclass was probably one of our most successful training sessions ever. Our staff were keen to pick up as many of Tom’s tips as possible and the whole session was lively, informative and inspiring. 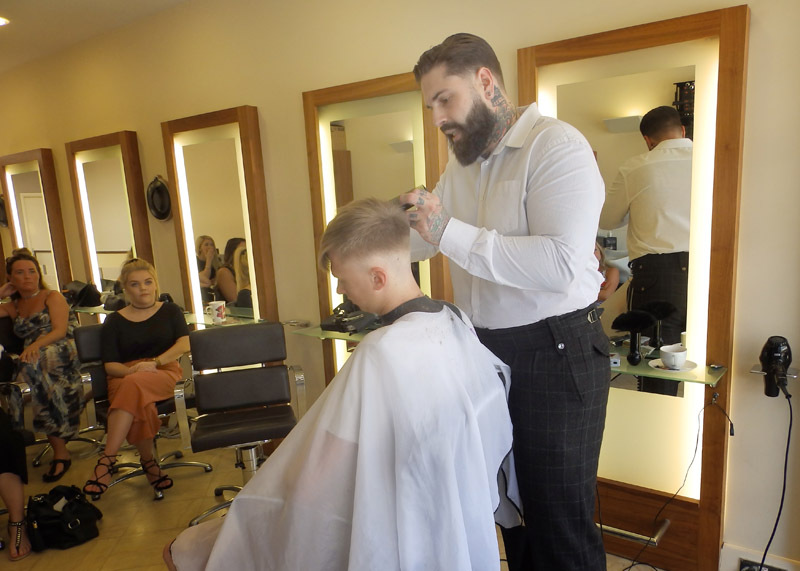 Tom began his hairdressing career at Toni & Guy where education and training is also prioritised. Since then, he has worked in a number of salons and managed one before finally launching his own business, Tom Chapman Hair Design, in 2011. It meant Tom could be involved in educating, session work, competitions and was even involved in an international show. Tom’s reputation has grown steadily since then. He is now considered by many as one of the stars of the industry and has been featured on the BBC, Huffington Post, and The LAD Bible one of the internet’s fastest-growing content channels. Tom is also an active campaigner for men’s mental health via his innovative group The Lions Barber Collective. 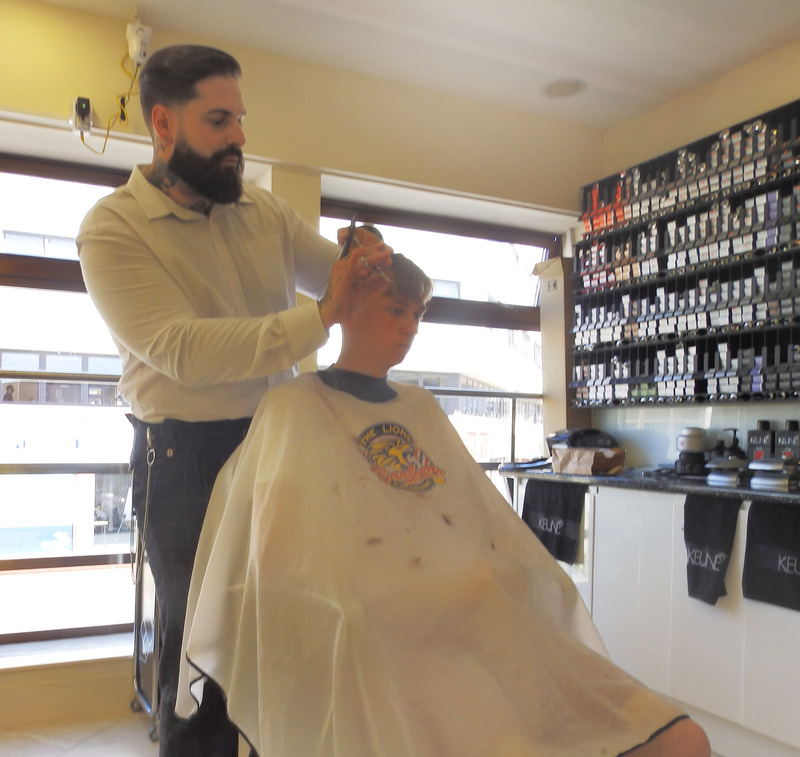 Tom hopes the Lions Barber Collective can help remove the taboo around suicide, and help beat it, like cancer. It began as a chat on Facebook but rapidly grew and now includes an impressive number of big names from the world of barbering. 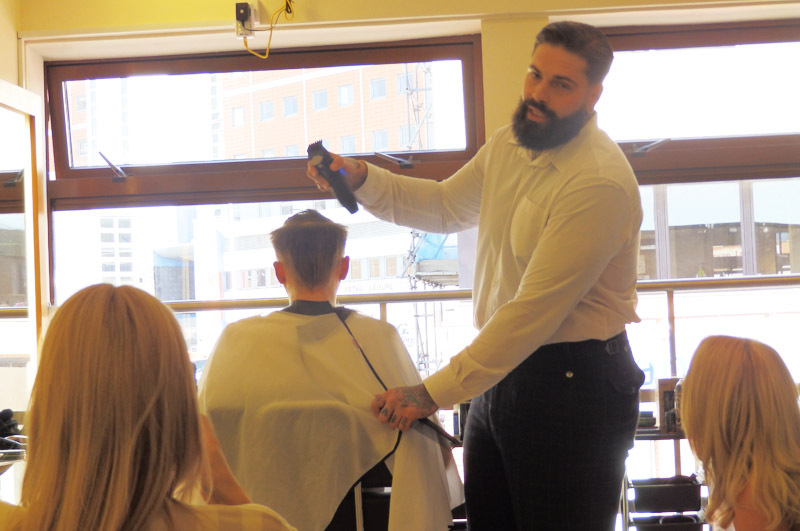 “Within a week, it became an international brotherhood of barbers,” says Tom. The purpose of The Lions Barber Collective is raising awareness for the prevention of suicide. Tom and the other members of the collective want to break down the barriers and give people a safe haven where they can freely talk to the people they trust. Who better to do this with than your hair stylist? 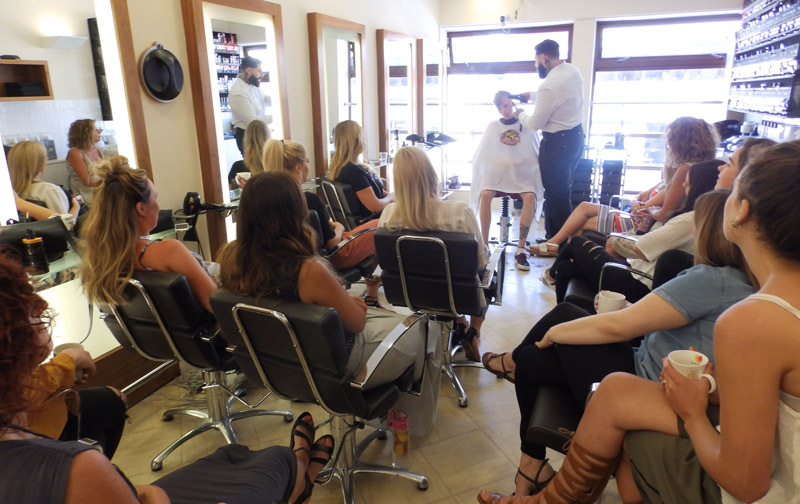 Our stylists has been buzzing with excitement since the masterclass and are eager to use their new skills on our clients. Don’t be surprised if you notice that the hairstyles of the men in Plymouth have improved lately. It’s probably because they’ve visited The Cutting Garden. Some photos from Tom’s visit to The Cutting Garden. Looking for a great contemporary look for your hair? Come to The Cutting Garden. Simply call 01752 223233 or book an appointment online.